A statements like this is easy to agree with. Sounds great, doesn’t it? The ideas in mathematics should connect! The above quote speaks to what Richard Skemp calls Relational Understanding (an article you need to read!) which I believe is a major goal of learning mathematics. However, I am not sure we would all agree on HOW we help our students achieve this relational understanding. I think Willingham is onto something here. We have all become educators because we want our students to be successful… and we want to do our best to help them do well. However, we are often so eager to get the results we want, that we don’t take enough time to allow our students to think… to explore… to make sense of the math… to realize WHY we are learning what we are learning. In our eagerness to have our students get answers, we often miss the developmental pieces that our students need to be successful! We want our students to understand concepts (the why) first. Thinking through concepts, making things make sense first helps build procedural knowledge. Making sure my students have both conceptual understanding and procedural fluency is important to me, but I believe that the concepts need time to develop. Jumping to procedures too quickly stunts concept development. We understand things at the visual level first. All students can enter the conversation when we ask them to use visual clues first. Starting with symbols, on the other hand (numbers, operation signs, formulas…), might disconnect the mathematics from what makes sense for many of our students. We want our students to be able to develop reasoning skills! Spatial reasoning, algebraic reasoning, proportional reasoning… understanding mathematics is all about being able to THINK mathematically. If we want our students to have the ability to reason, we need to start with tasks that help them develop their reasoning strategies. “Answer Getting” strategies are helpful when we want 1 specific way to answer 1 specific type of question. However, if we start here, our students will come to see mathematics as a series of unrelated things to memorize. More often then not, students who are taught “answer getting” strategies first lack the ability to translate their original strategies to new situations. The 3 items on the left are about understanding… thinking… making the math make sense… while the 3 on the right focus on being able to do the skills of math. Personally, I believe that concepts, visuals, reasoning are more important for our students to develop, however, I understand that not everyone would agree with me here. If you do think that procedures or symbols or “answer getting” strategies are more important, then I think the best way to help ALL of our students to get there, is to focus on concepts, visuals, reasoning. Slow down and make sure OUR STUDENTS are making sense of things before WE jump into symbols, procedures and strategies. On average, how many books does Maria read per month? 1, 2, 3, 4, 5, 6…? If our students have never thought about “average” before, what might they do here? How might their visual / spatial reasoning help them make this make sense? Hopefully, we might notice that January could be redistributed onto other months. How might students see this happening? What would the price be if each of the games cost the same amount? How would you solve this problem? Is there more than 1 way to calculate the mean? Do I need to calculate the mean first? How did you determine the test scores for Todd? How do you help your students make connections between visuals and concepts… between various representations and symbols… between and among different but related concepts… between concepts and procedures… between reasoning and answer getting strategies? When we help orchestrate situations where our students make these connections, we are building mathematical thinkers… we are building mathematicians! Problem #1: Find the diameter/radius, circumference and area of some dessert treats. Problem #2: Which has a greater area? Which of the two preceding problems would be more engaging to you? For me, the first problem’s context seems quite tacked on. The author has assumed that the math itself isn’t interesting, so they will make it look more interesting by adding dessert treats. Yet, in no way does the context help the student understand anything more about circles or challenge them to think in any way. Most students who would receive a worksheet like this, would ignore the context completely and mindlessly plug in values into their calculator to get the right answers. Dan Meyer has posted many blog posts about Psuedocontexts like these. The second problem is quite different though. It encourages us to think first… to notice pieces of the problem… to reason informally before any calculations are done. Look again at the picture of the two circular objects. Which has the greater area? What does your intuition tell you? Which one looks like it has a larger area? Problems like this ask us to do much more than calculate, they ask us to start to think mathematically and be engaged in the mathematical processes. The two problems also differ in what our goals are. The first set of problems aims to make sure our students have a skill (calculating), while the second problem’s goal is more about mathematical reasoning. This difference seems to me to be a really important distinction to make! Teacher: Can anyone tell me what you notice here. Teacher: What do you wonder? Do any questions come to mind? Various Students: Why is it there? Where is this from? What is the ratio between white and black tiles? Is the ratio 3.14 times more white? How many tiles are there to make the circle? Teacher: Let’s explore how many tiles there are. I want you to estimate how many tiles you think there are in your head. First, I want you to think about the range of possible answers you think might work. Write down the lowest number of your estimate (there must be at least ____ tiles) and the highest number (there is no way there are more than ____ tiles). Finally, write down your actual estimate. Teacher: Who wants to share the lowest possible number there is (50), anyone think the lowest possible number could be a bit higher (100, 200…). Who wants to share highest…. (1000, 900, 600). Many of you think the answer is somewhere between 200 and 600. Write down your exact estimate and we will check in at the end to see how close you are, and whether the answer fits in our range. Teacher: With your partner, I want you to calculate how many tiles you think there are (without counting every tile). What information would you need? Teacher: Which of these will help you? Teacher: With your partner, calculate how many you think there are. Be able to defend your answer. Teacher – We calculated how many there should be, but do you think the real number is less or more than this? (here is where the real-life piece comes into effect – the math doesn’t give us the actual answer, but helps us to estimate and make sense of a real situation). Various Students: “I think less because of the grout between the tiles.” “No, there is grout in the diameter too.” “I think less because the pieces are smaller in the middle.” “Wouldn’t that make it more then if they are smaller?” “Some of the black tiles look a bit larger”… This is where I smile and sit back because the students are driving the conversation! The whole class is engaged in rich mathematical discussion! Was this problem a “real world” problem? Would it engage your students? More importantly, would it engage your students in the process of thinking mathematically, reasoning mathematically…? Engagement to me is more than tacking on contexts that we expect our students to ignore to get their answers. Instead, it is about getting our students to be curious… to wonder… to want to find the answer because they have invested thinking before any calculations were attempted. Great prompts can lead to great discussion and a much deeper understanding of math. I find the real-life component is best utilized when we provide real things (strive for curiosity and perplexity and we will no longer hear “when will we ever need this”). And while making connections to the real world isn’t a bad thing, what we really want is for our students to be making more decisions, thinking more, be in a state of not knowing for a period of time so they actively want to resolve that not knowing. Engagement is more about this active process of thinking and reasoning than making math about dessert treats! PS – The students calculated 855 tiles, but there are actually only 837 tiles – the real world isn’t as straight forward as school would like you to believe. Math is a tool to help us figure it all out. Start noticing the world through a mathematician’s perspective! I have been thinking a lot about why we teach mathematics in school. Every teacher wants the best for their students, but have we really thought about what “the best” means? Do we have an agreed upon set of goals that we are all aiming toward? Many teachers might believe that having students being able to do the math is our goal, but I think it might be worth taking a few minutes and thinking about the underlying goals of the curriculum, and even broader goals beyond the curriculum. There seems to be 2 very distinct approaches to teaching mathematics. 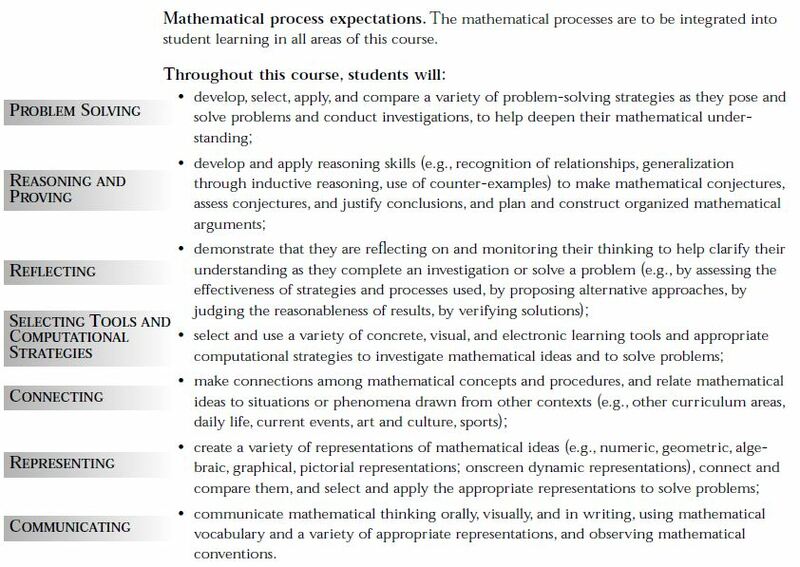 I believe the differences are based on a number of factors that might lead teachers to choose one of these paths (past experiences, personal successes…), however, it might be worthwhile for all of us to question our own assumptions about what good math instruction is, and what our underlying goals are. Below are 2 very different examples of classrooms. What does a typical lesson look like? Traditional teacher-led lesson. Lesson starts off with an activation. Students are provided with a problem that they need to reason through to explain their thinking. Students make decisions about what is important, where to start, how to communicate their thinking… Lesson ends with a discussion about what was learned, different models, strategies… are explored. Students learn from each other and connections are made between students’ thinking. The lesson might be followed up with individual practice to consolidate learning. Role of teacher while students are working Helper. Teacher observes students working, attending to their thinking, strategies used, models for understanding, and other processes. The teacher knows when and if they should intervene by posing questions that may illicit deeper thinking. The teacher uses a variety of formative assessment strategies to know who understands what. The teacher contemplates how to consolidate the learning after the lesson is complete. The students use this time to build their own understanding of the material. What does a typical unit look like? The teacher ensures all curriculum content is “covered.” Skills are taught in order. Unit begins with mostly teacher-led instruction and may gradually move to some problem-solving experiences (now that the teacher believes that they are ready). New skills are continually being introduced. Skills, concepts and thinking strategies are connected throughout the unit. Progress in student thinking is what moves the unit along. Thinking is continually deepened. Practice and consolidation are an integral part of the formative assessment process. Lessons are taught by teacher so students will know what/how to think before they begin problem solving. Problems take on the role of diagnostic assessments, formative assessments throughout the unit, and summative assessments. Students learn by being challenged (productive struggle), through listening to others’ strategies, models and justifications, and by making connections between others’ ideas and their own. Real-life scenarios are used to show when the specific skills will be needed later in life. When contexts are used they are used to help students make sense of the mathematics. The contexts actually lead students to think differently and learn about the mathematics more deeply. Diagnostic assessments Diagnostic assessments typically track right/wrong responses. They find out what students can do, and can’t do. Purpose is for teacher to know what they learned last year, and who is “good” at math or might need extra help. Diagnostic assessments aim to figure out how well students understand specific concepts. They find out how students think, which concepts they have mastery over, and look at possible reasons for misconceptions. Purpose is for teacher to know what to do next. Formative assessments Students raising hands provide teacher with information about how to pace lessons (even though the majority of students do not raise hands). Numbers of questions correct on assignments gives teacher feedback about who can “do” the math. Formative assessments are used regularly to give feedback to the teacher about how to make instructional decisions. Summative assessments Summative assessments again focus on right/wrong responses. They find out what students can do, and can’t do. Summative assessments aim to figure out how well students understand specific concepts. They find out how students think and which concepts they have mastery over. Role of the teacher in this class Holds all the knowledge. Makes all the decisions. Primary source of examples, sharing ideas, providing thinking strategies and models. Leads all conversations. Finds the best opportunities for their students to grow and develop as mathematicians. Asking effective questions. Facilitates discussions after problem solving. Role of the student in this class Listener. Passive. Prove to the teacher that they can “do” the math. Thinker, justifier, reason maker, analyzer, communicator, listener… Active. Prove to themselves that they can think mathematically. Demonstration of “Understanding” Questions tend to heavily favor knowledge with some application of math concepts later. Procedures are checked for accuracy. Students are assessed based on their products. A balance of open questions, problems and other strategies are used. Students are assessed on their products, teacher observations, and conversations with the teacher. Some students are really good at getting the answers, others aren’t.Some students learn math quickly, some have a difficult time.Students rate themselves as good at math or not. Speed and accuracy are valued. Every student is learning and growing. Students and teachers view all students as capable and expect high standards.Mindset beliefs of teacher match the messages they send students. Answer to, “when will we ever need to know this?” This question is asked by a few, but thought regularly by many students because students don’t connect with their work. The teacher attempts to make the concepts meaningful by adding contexts from . Answer: “You use math all the time…jobs…at home…” Finding the answers to questions using specific skills isn’t the goal. Thinking mathematically is! This question is rarely asked because students are more engaged. Real world contexts are present, but there are also many highly engaging problems used that have no context… they are mathematically relevant. Role of technology Technology may be used by the teacher to teach students a concept (i.e., Smartboards, Khan Academy…), or for students to practice skills that have been taught in class (kill and drill websites). Technology may be used by students to interact with their mathematics. Many programs are designed to meet students’ developmental needs (i.e., Dreambox…). Role of Manipulatives Teacher shows students how a manipulative can help them get answers. Teacher demonstrates, students try to show understanding by following the teacher’s thinking. Goal is for students to use these tools as long as needed, until they master a skill or concept. Students are encouraged to select and use concrete learning tools to make models of mathematical ideas. Students learn that making their own models is a powerful means of building understanding and explaining their thinking to others. Manipulatives help students see patterns and relationships; make connections between the concrete and the abstract; test, revise and confirm their reasoning; remember how they solved a problem; and communicate their reasoning to others. Students see manipulatives as meaningful, not just for those who need it. Students learn to think mathematically at the same time as they are doing the math. If students can show, explain, justify… their thinking the teacher knows they “understand” the material. Partially correct understanding is valuable information for the teacher to make instructional decisions. Who is doing the majority of the thinking in this classroom? The Teacher. The teacher plans the lesson, the teacher thinks of the best way to explain the concept to their students, the teacher thinks of the context, models and shows students how to do it. If students help in any of this process, it is typically only a few who are involved in the lesson, and the teacher is the one who approves or disapproves of the ways students should think. Students then practice their teacher’s thinking. The Students. The teacher plans a rich opportunity for students to think through the math. Students reason, communicate, select manipulatives, models and/or strategies on their own or in a small group. Students are expected to think their way through the problem before any instruction is given. Process expectations are stressed. What are the goals in this classroom? Whether the teacher is aware of this or not, their goals are very short-sighted (doing well on the test next week, passing the exam, achieving on high-stakes testing). In attempting to have their students do well on these assessments, the teacher inadvertently cuts out deep understanding of mathematics. The teacher may believe that their goal is to provide students with a long list of math skills that they will need in later life and that instrumental understanding is good enough, but the problem is that most students who will learn in this class won’t use these math skills after they take their last math class – all that hard work is lost. The goals for this teacher are to develop life-long mathematicians who have the knowledge, thinking skills, confidence and perseverance to solve problems in their current and future lives. Students begin to see math around them because they can connect with it. They question things and make sense of their world because they are thinking mathematically. Developing relational understanding will help students continue to think mathematically well beyond the day they take their last math class. 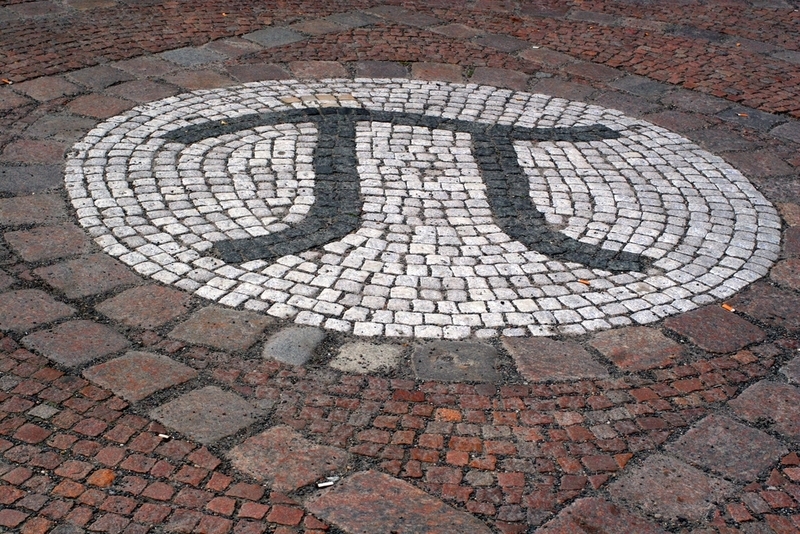 The example of Teacher A shows a traditional path to teaching mathematics. Many students will learn math in this classroom, but not all. High-stakes test scores (provincial testing) might show that many students are on track, but as we know, many of these students will start to dislike mathematics as it gets “harder” (i.e., highschool or sooner). When students do not have a relational understanding of the mathematics they have learned, they will find mathematics increasingly more complicated and disconnected from them. Many of the students in classroom A, even those who did well that year, will lose their learning because the learning was procedural and was not truly understood. Students in Teacher B’s classroom will be able to meet the same standards as classroom A on high-stakes test scores, but will be able to retain their learning later into highschool and beyond. Teacher B has taught their students to think mathematically, and that all students can learn math at the highest levels. At the beginning of this article I suggested that we all question our assumptions about what good mathematics instruction is, and what our goals are for teaching mathematics. I hope that you have taken a deep look into how our instructional decisions and our goals are linked. Most teachers would fit somewhere in the middle, having traits of both the “traditional” teacher and that of a “modern” (for lack of a better term) teacher, however, it is important to understand that the decisions we make on a daily basis are aimed at achieving one ultimate goal. So it is of the utmost importance for us to know what that goal is and to align our instructional decisions toward reaching that goal. If I believe that I need to teach the concepts first, before problem solving begins then I am not developing mathematical thinkers, I am teaching for instrumental understanding. I will see progress throughout each unit and throughout the year, however, it will lead to students who stop taking mathematics courses in high school as soon as they can, and adults who simply don’t use math. If our goals are short-sighted like wanting our students to do well on a test, quiz or even a high-stakes test, then we might take many shortcuts that undermine our students’ thinking and development. Don’t get me wrong, we all want our students to do well on their tests, quizzes and high-stakes testing, but students achieving on these shouldn’t be our primary goal. These should simply be markers to determine if our students are learning and understanding math. Our goals need to meet the real purpose of why we are all here – to develop students who can think critically, question and make sense of their world independently, who understand the importance of thinking and learning! As a final thought, I want you to ask yourself, how can we better align our instructional decisions with our educational goals?